A new roof installation is a major investment. If you are considering replacing your existing roof, consider the various kinds of roofing options and be sure that your roof really needs to be replaced – it may only need to be repaired. To be sure about the condition of your roof, contact a licensed inspector to do a roof inspection. Read below about the most common types of roofing materials for residential structures. AAEXS® is a GAF Master Elite™ contractor! Download GAF’s Homeowner’s Ultimate Shingle Guide to find the perfect shingles for your home. The most commonly used and least expensive roofing alternative, asphalt shingle roofs generally have a life span of 20 to 25 years and come in a variety of designs, weights, colors and sizes. You can determine wear and deterioration on an asphalt roof when the mineral granules wear off and the black asphalt shows through. 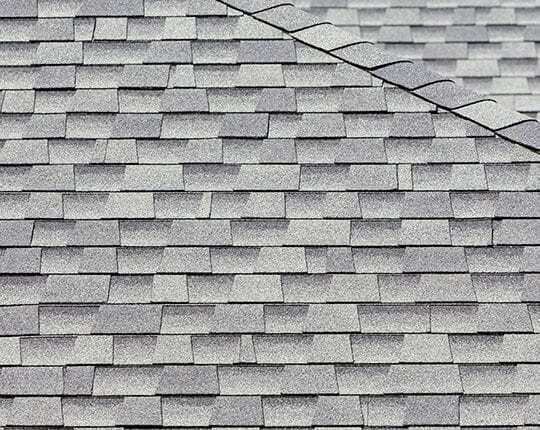 Another sign of wear is when the shingles’ corners and edges begin to curl and crack. When only a few shingles show this kind of wear; re-roofing may not be necessary. However, if one out of every five to ten shingles has deteriorated in these ways, it is more likely time to re-roof. 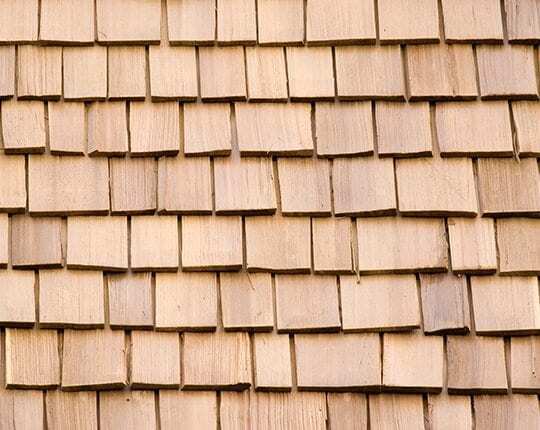 Made from cedar, cypress and redwood, wood shingles and shakes are highly rot resistant and can last 20 to 25 years if properly installed and maintained. When the materials are pressure treated with wood preservatives and fire-retardant chemicals, they have a significantly lower resistance to catching fire than other roofing materials. Wood shingles and shakes show their age when they shrink, form gaps between shingles and begin to crumble. As with asphalt shingles, if only a few wood shingles show wear, just replace them. If one of every five or ten indicate deterioration, consider re-roofing. 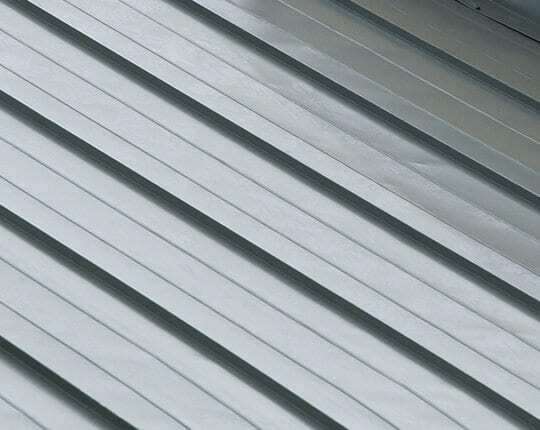 Made from copper, tin, steel, aluminum, lead or an alloy combination, metal roofs are highly resistant to damage from the elements and typically last 40 years or more. They are also highly fire resistant and require little maintenance. Small damaged areas may be repaired with patches and roof cement. 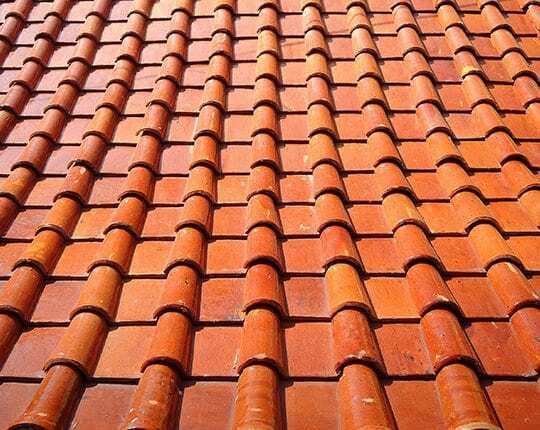 Composed of either clay or concrete are perhaps the longest lasting roofing material available, frequently lasting more than 50 years. They are extremely fire resistant, and normally require little or no maintenance. Tiles offer greater variety in color and texture than slate, which is typically found in black, gray or dark red. However, tile or slate roof installation is a more expensive project.